This half-day course follows the UK Resuscitation Guidelines for the training in the use of an Automated External Defibrillator (AED), as per current guidance from the HSE. 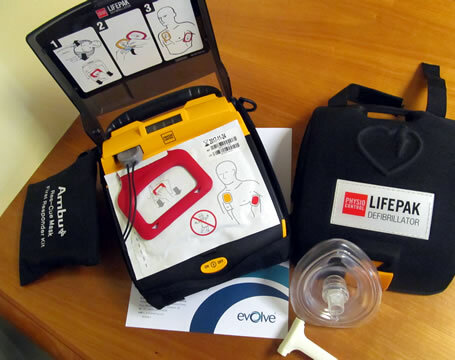 This half-day course follows the UK Resuscitation Guidelines for the training in the use of an Automated or semi automatic External Defibrillator (AED), as per current guidance from the HSE. You don’t need to be first aid trained to attend course. The current UK Resuscitation Guidelines recommend that the skills should be refreshed at least once a year, and preferably more often.